We started listening to the Hamilton soundtrack as a family about six months ago. My oldest three, Jack, Zoe and Beau were drawn to it almost immediately. I’d turn it on in the kitchen while we ate breakfast and got ready for school, and then I realized it would be on in each room of the house throughout the day; after school, and in the evening before they prepared for bed. I personally love the songs myself, I have a grand time listening to the stories and even singing along with them. 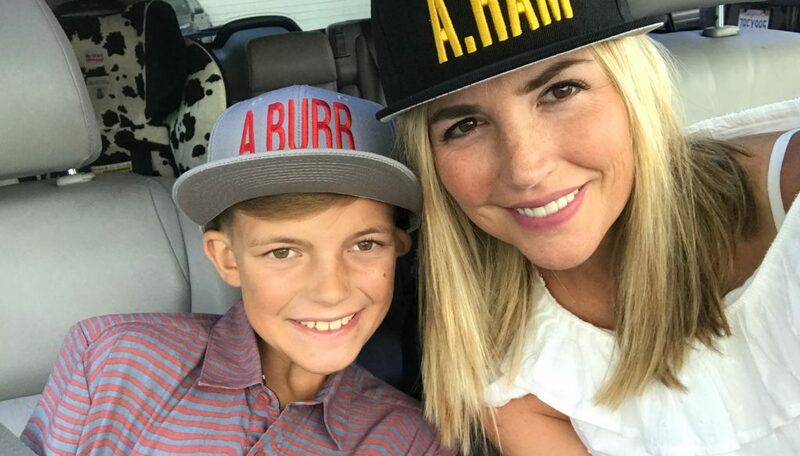 I’m not sure any of the kids really listened to the story all that much, but they are definitely drawn to the music itself, and what a thrill for us parents that the lyrics are a history lesson instead of what most other rap and modern pop songs reference. For a change, we are truly immersing ourselves into the lyrics and the storyline as a family, so much that even Evvie knows and sings along with “My Shot”. It’s the perfect marriage of contemporary rhythm and classic Broadway musicals, with an extra added bonus of actual American history. Seeing my 10, 8 and 5 year olds intrigued and passionate about Broadway and the life of Alexander Hamilton makes even my heart sing. 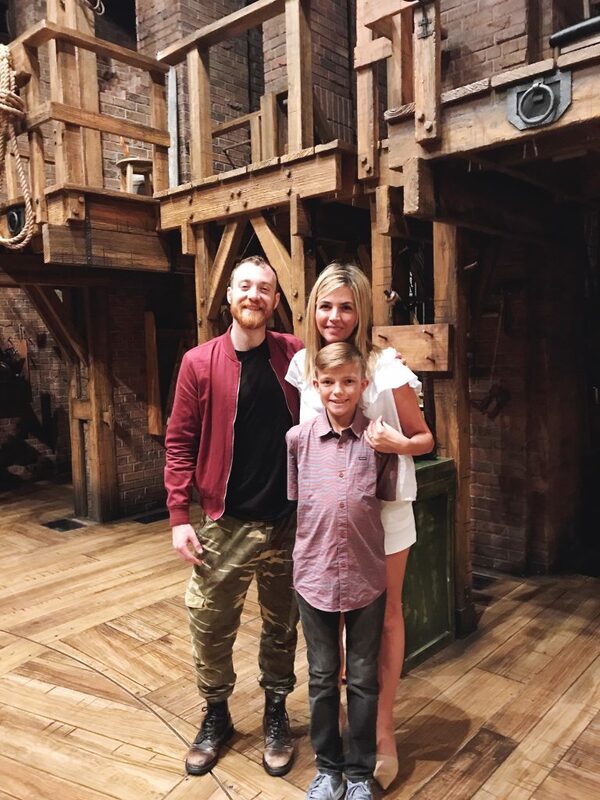 As a reward to my eldest, Jack, for achieving straight A’s on his report card and glowing remarks from his teachers and coaches, I bought tickets for us to see the show together in San Francisco. We’d been to the theater to see different kinds of shows, and each time was a new and different experience from the last. For a full list of shows your family will love, check out the Guide to 2017’s Most Popular Broadway Shows for Kids. Experiencing live acting is an emotionally charged experience, one that children might not understand fully how they will, and do, react. I try to make mental notes about conversation starters and questions for the drive home. Often, their viewpoints are similar to mine, but they remember much different things than I do, and there is a lot to talk about. Looking through the programs and learning about the actors is one of my favorite parts. It’s also a fun memento to bring home and ask questions about later, too. With the performance being cell phone and social media free, it makes me try to remember the most meaningful and interesting parts of the show to mentally bookmark and share about afterwards. Very few experiences are photo-free anymore, and I try to really enjoy and absorb being 100% present experiencing the show with my children. Throughout the passionate performance we sang along, applauded loudly and cried big fat tears together. It was the first time I’ve had such an experience with my children, and one that I’ll remember forever. Weeks later, we are still thinking and sharing about the story and the actors. Though I was somewhat cautious about experiencing this show with adult subject matter with my 10 year old, I was pleasantly surprised to see that it didn’t stray from the soundtrack and wasn’t inappropriate in a way that made me uncomfortable. There were times I noticed his eyes glazing over a bit, but overall he absorbed and enjoyed the experience so much that I don’t think he’ll forget it, either. We were extraordinarily fortunate to get a peek backstage with Samuel Seabury, played by Andrew Wojtal. He showed us around the costumes and changing quarters for each actor, and we even got to set foot onstage ourselves. 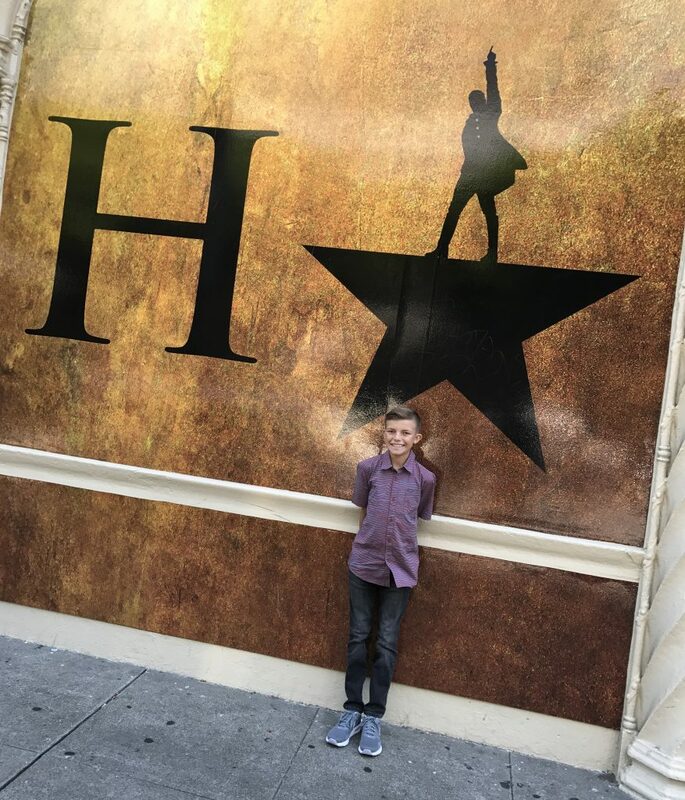 I’m so grateful for this experience with my son, a chance to absorb and appreciate the art of Broadway mixed with the history of our country, an astounding soundtrack, and talent of each person that contributed to Hamilton. I was filled with renewed passion for acting and storytelling, playwriting and theater, and I can tell my son was equally as intrigued and excited about the magnificent talent that goes into producing such a show. 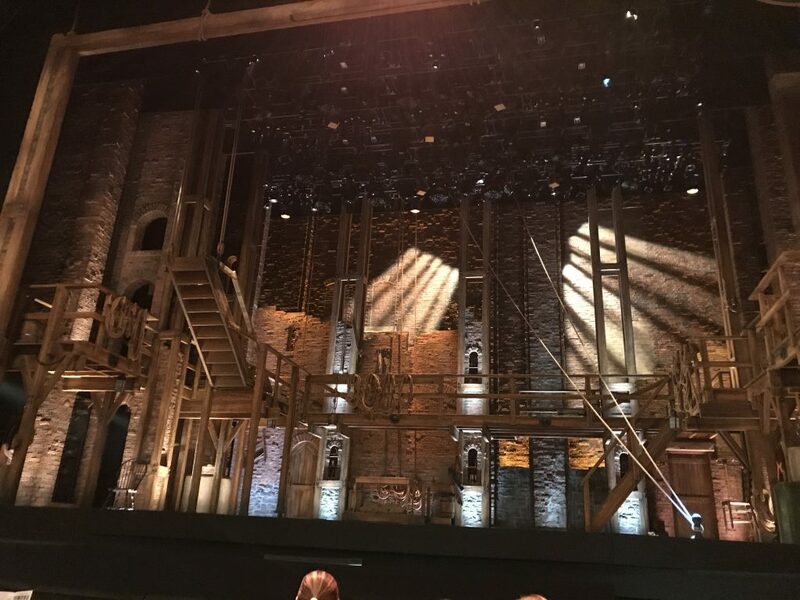 In a world full of technology, I’m grateful for such a production that not only piques the interests of my tweens, but gets them passionate and excited about art, too. See more from Jessica at Momma’s Gone City and follow her on social!